After months of anticipation, the latest Delta Force paintball centre will be opening its doors in Appin this month! 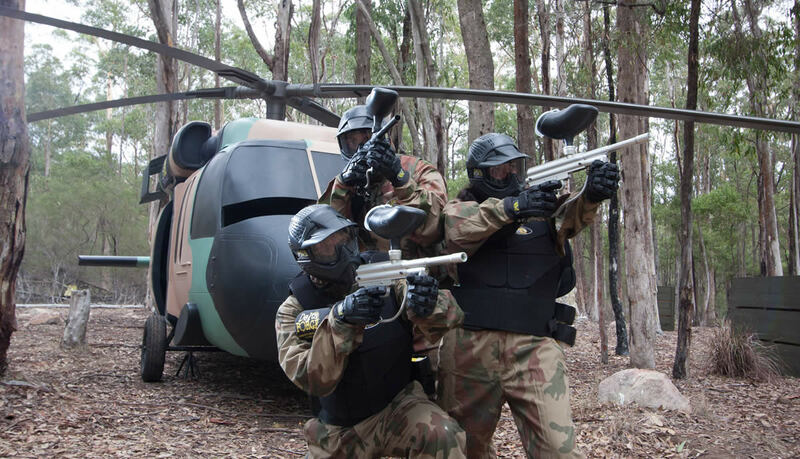 The latest movie-set paintball centre in the impressive Delta Force lineup is located only an hour from Sydney CBD. Complete with the very latest equipment, including full head helmets and custom-made body armour, and action-packed game zones, Delta Force Appin offers the ultimate paintball experience! Attempt to capture the ancient idol from the giant pyramid, defeat the terrorists who are holding hostages on the London double-decker bus, and regain control of the prison from the dangerous inmates. You’ll experience all this plus more on your day out at Appin. Get your friends together for a full day of paintball entertainment and experience the best scenarios Australia has to offer. To make a booking, contact our friendly booking office today on 1300 850 744!